LIGHTS are on blink on the corner of Wood St and Guy St after a vehicle ploughed down a set of traffic lights. The traffic light pole directly outside Red Rooster is laying on the ground, with wires pulled from the ground and lights smashed. 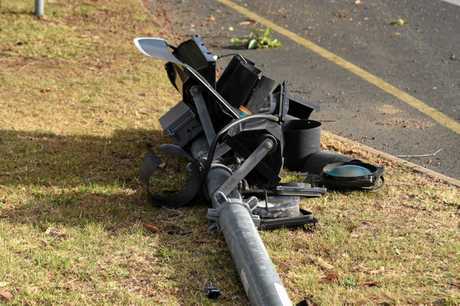 Warwick Police Sergeant Shane Reid said a vehicle drove into the traffic lights causing the damage this morning. 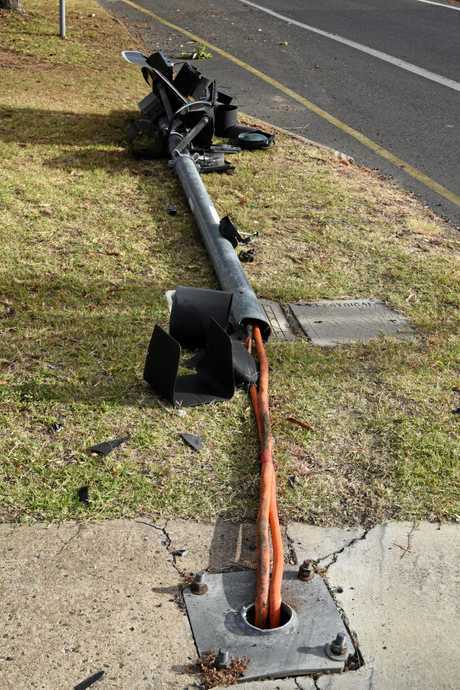 Drivers are urged to take care around the intersection while the lights are being repaired. 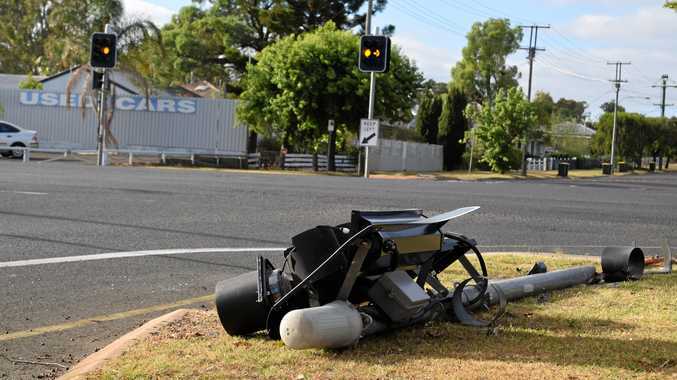 Anyone with information about the crash can anonymously report it by phoning Crime Stoppers on 1800 333 000.